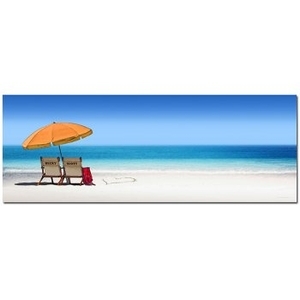 "Beach Lovers" is a panoramic beach scene by artist Scott Kennedy. 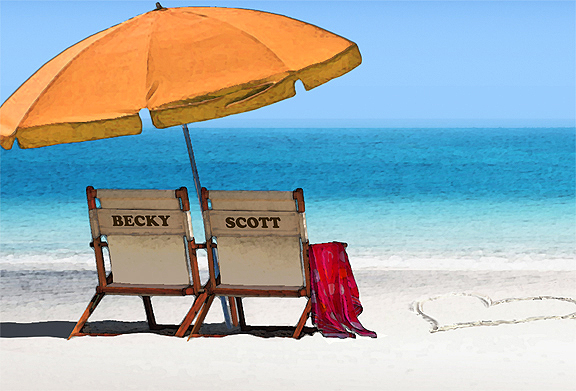 Personalize the chairs with your name and reserve your spot on the beach. Wooden Block Mount: Our wood block mount is a contemporary and frame-less way to have your print displayed. The image is mounted to a 1/2 inch thick wooden block using an acid-free adhesive and the sides of the block are black. Comes ready to hang and enjoy. Framed Canvas: Published on fine art canvas and finished in a solid wood frame with a smooth white finish. Framing is done in-house using acid-free archival materials. Canvas prints are coated with a UV resistant spray and like all canvas art it does not require glass. Comes ready to hang and enjoy! It's the personal touch behind the gift that makes it special and shows how much you care. Fora treasured gift that can be enjoyed each day and will last a lifetime give a personalized gift of art. You can add two (2) names for the back of the chairs. 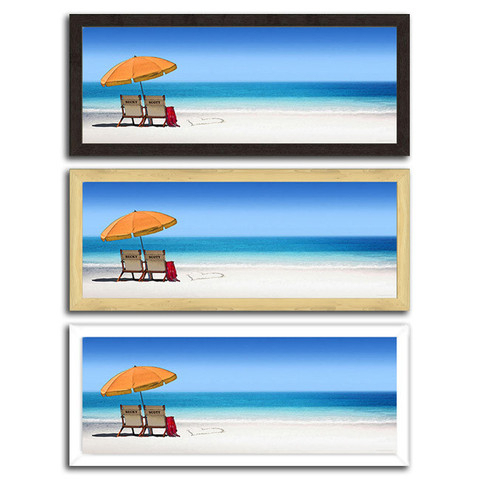 If you select framed art piece you must select a frame color: espresso,natural or white.